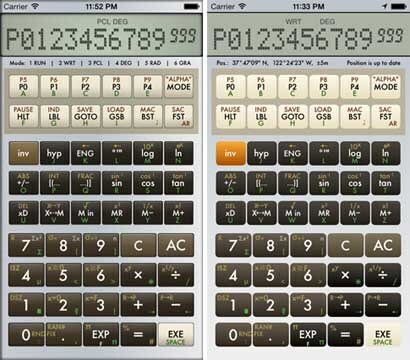 Today the new version 2.1 of FX-602P Sim has been released in the app store with a fresh new layout of the calculator, which has been adapted to the iOS 7 design. However, it is still possible to stay with the previous classical-designed layout. Since this software simulates an existing calculator, the option for this past look and feel should still be available for you. You can switch back and forth at any time between both layouts, which have been made for iPhone, iPod touch and iPad.